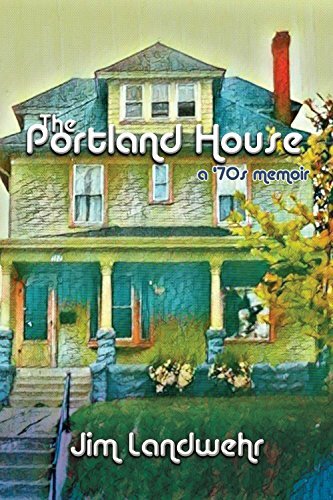 SUMMARY: The Portland House takes you into the lives of a widow and her six children as they put down roots in an average Midwestern house in 1970. It welcomes you to the crowded dinner table, where hotdish is a weekly staple and table manners sometimes take a back seat to kids being kids. It shoves you into raucous teenage parties when Mom is on vacation. It chokes you with the smoke of a small kitchen fire. Later you wander the neighborhood and the city of Saint Paul, Minnesota, with latchkey kids until the street lights come on. The house is full of love, teenage energy, and an adopted stray who walks with a limp. From the warmth of family on Christmas Eve, to the sadness of a losing a beloved pet, the Portland House is home to it all. So, come on in and experience life growing up in the era of disco, lava lamps, and Tang orange drink. THE BACK STORY: This was a follow-up memoir to my first book, Dirty Shirt: A Boundary Waters memoir. Growing up in a single-parent family in the ‘70s made for a number of hair raising moments that I tried to capture in this book. The book took roughly four years to write, including a three month stint where I sent it to its room because it was misbehaving. WHY THIS TITLE: As adults my siblings and I all refer to our childhood home as “The Portland House,” hence the name. It just fit. WHY SOMEONE WOULD WANT TO READ IT: The book is filled with relatable family moments. Tender moments, laughter and love. Oh and a few small house fires too. AUTHOR PROFILE: Jim Landwehr is a twenty-first century cartographer and Renaissance man. In between his day job that keeps the lights on and the creditors at bay, he walks his dog, takes an occasional bike ride and scribbles out books and poetry. Next to his wife and his two above average children, his two books, Dirty Shirt: A Boundary Waters Memoir, and Written Life are his biggest pride and joys. He’s working towards a Pulitzer, but at the moment his writing provides little more than personal satisfaction and beer money. 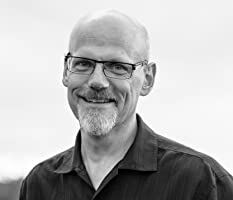 He is currently poet laureate for the Village of Wales, Wisconsin which is very much like being king on a very small island – the natives love you, but no one else much knows who you are. AUTHOR COMMENTS: The Portland House is a bit of every home, every house, ever. The intent behind it is to draw people back into the house they grew up in and relive a bit of their childhood. This includes interactions with parents, siblings, friends, pets and the surrounding neighborhood.